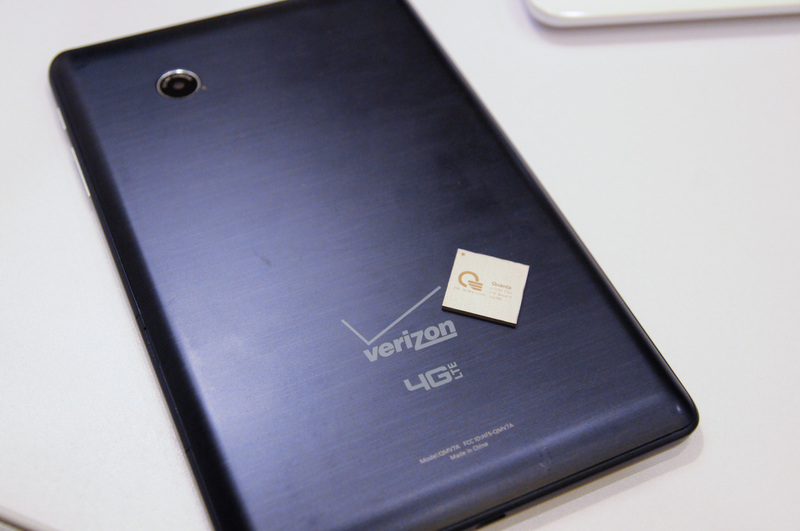 I met with a number of LTE baseband makers at CES 2014, the first of which was Altair Semiconductor, who recently scored an interesting design win with Verizon's first directly-branded tablet, the Ellipsis 7. 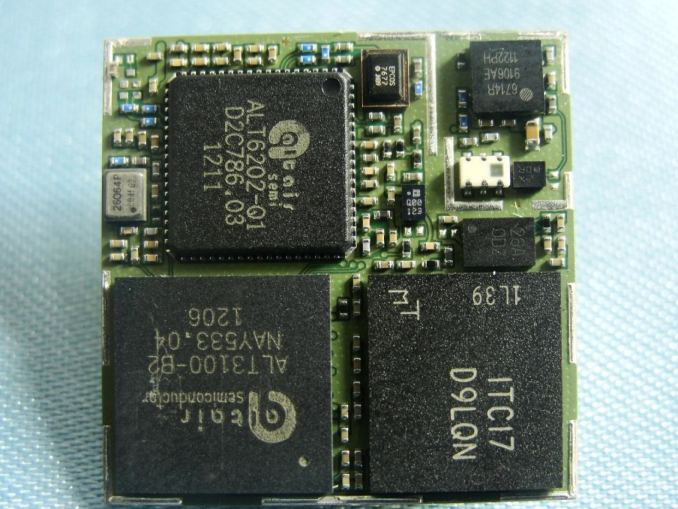 The modem inside is Altair's FourGee 3100 baseband paired to a 6202 RF transceiver. The FourGee 3100 baseband is 3GPP Release 9 capable and supports up to Category 3 LTE speeds (100 Mbps on the downlink), and is built on a 65nm process. The 6202 RF transceiver has 3 ports for supporting different band combinations, and although this first version is only single band (Band 13) for Verizon, modules capable of supporting Band 13 and 4 for Verizon are also possible. 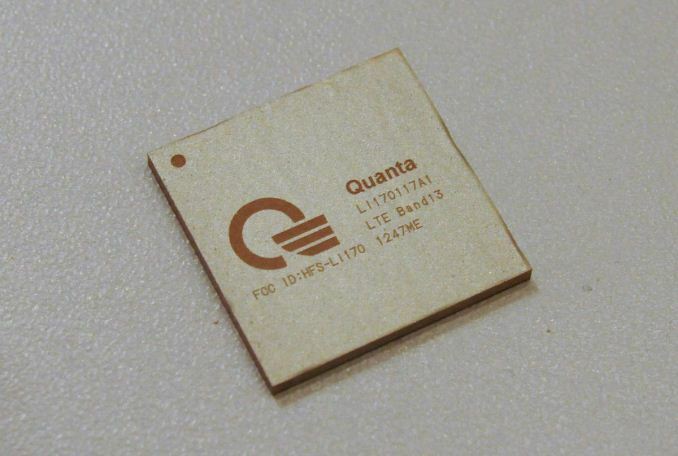 The Ellipsis 7 in particular uses a packaged module (LI170) by Quanta which encapsulates baseband, transceiver, power management, and frontend in a ready to go package with USB on one side and two antenna ports on the other. Altair noted it has another major design win with the same module which is slated for imminent arrival in the USA. Altair also has another single mode LTE baseband coming up, the FourGee 3800 and 3802, which are Category 4 capable, built on a 40nm process, and the latter of which is capable of supporting carrier aggregation. There's a new transceiver as well, 6300, with 6 ports and capable of supporting LTE between 700 MHz and 3.8 GHz. Altair says its goals are to bring LTE modules to market at half the cost of competitors while still maintaining low power, and leverages its own SDR platform optimized for OFDM. Verizon completed its LTE coverage rollout and achieved nearly parity with its 3G EVDO coverage in 2013, in addition to green-lighting LTE-only devices with its newest RFPs. 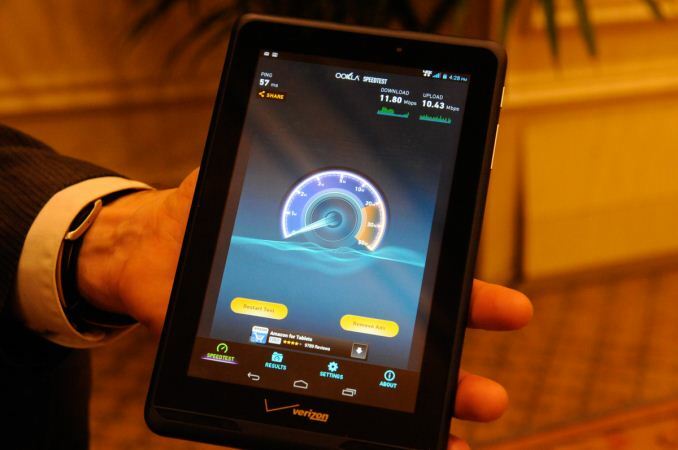 It's already looking like 2014 will be the year we see many more single mode LTE devices start arriving in the USA, bringing faster speeds to the masses for lower cost.